Last weekend my parents and I basked in the wonderful weather by walking around the Cape Henlopen State Park. I should have known better than to leave my camera at home - I missed capturing a beautiful yellow blossom on a cactus! Sharing the sunshine Jeannine of Eleven Times collected will nicely suffice. 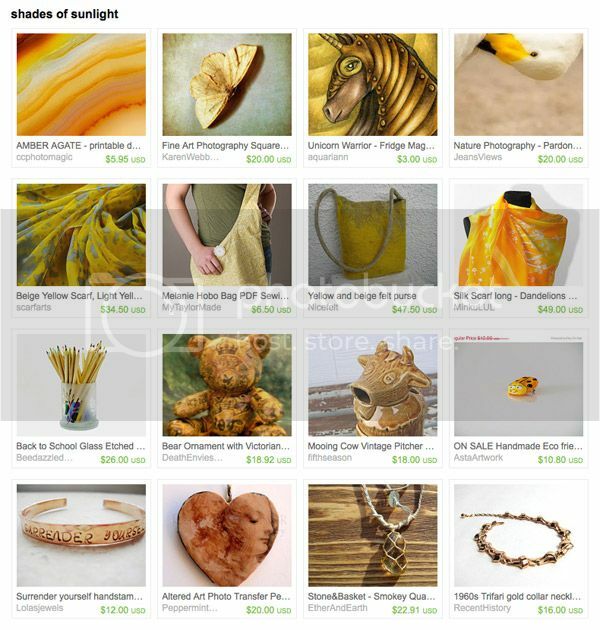 Her sunny gift ideas include yellow moth art print by Karen Webb Photography, dandelion scarf for summer by MinkuLUL and my steampunk unicorn magnet. love that sunny yellow collection! :) the cow pitcher is so cute! i love the treasury -too bad you forgot your camera! thanks for hosting. A treasury of sun!!! Lovely!